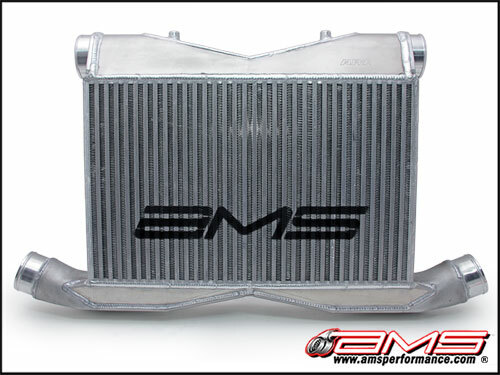 If your Nissan GT-R makes in excess of 900 horsepower, then AMS has a new intercooler for you. This is same intercooler design that AMS uses in their 8 second Nissan GT-R's. This 4.5" thick core intercooler with 3" inlets and outlets provides 92.5% more air volume than a stock intercooler.